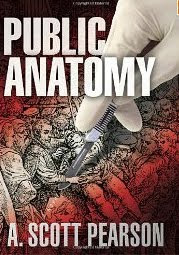 Florida Book News: Public Anatomy by A. Scott Pearson-Available Now! one delicious tale. 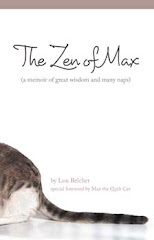 You'll enjoy the ride." pace and suspense. A chilling read!" The second novel by surgeon A. Scott Pearson, Public Anatomy is an intense, Memphis-based medical thriller featuring protagonist Eli Branch. While recovering from a career-threatening injury, Branch is pulled into the turbulent world of Dr. Liza French, a colleague he hasn't seen in ten years. Liza uses their past to lure Eli into a highly-publicized debacle in a Memphis hospital that has put her own career in jeopardy. But when the murder of medical personnel at Gates Memorial appears related to Liza's surgical complication, Eli finds that more lives are at imminent risk. Eli discovers clues from the victims that match anatomical art found at the crime scenes, a connection that leads him to the manuscript of a sixteenth century anatomist whose methods of dissection are over four centuries old-but are being reenacted in the present.